If you’re looking for Caterpillar® machinery, engines or power generation solutions near you, visit Louisiana Cat in Bossier City Cat, located off Interstate 20 just outside of Shreveport. With a diverse local economy that includes gas and oil extraction, mining, quarrying and utility work, many of the area’s businesses have a need for our products. That’s why at our Bossier City location, you’ll not only find all the equipment you need but also a dedicated and customer-oriented team that lives up to the reputation Louisiana Cat has been building for more than 80 years. At the convenient Louisiana Cat Bossier City location, our commitment to providing you with the lowest overall cost combined with the highest ROI on your equipment needs is nothing short of unwavering. That’s why, when you visit us, you don’t get a sales pitch. Instead, you get the best advice from our knowledgeable team who strive every day to meet your machine needs with the highest-quality products and customer service they can provide. Product health: Our state-of-the-art product health centers utilize advanced telematics, fluid analysis inspections and repair history in order to spot potential issues with your equipment. By taking a proactive approach to product health, we aim to help you maintain maximum uptime so you stay up and running. Emergency service: Of course, when emergency repairs are needed, we’re available 24/7. Our factory-trained technicians with fully-equipped field service trucks are only a phone call away. Parts and support: When you need a technical question answered or a part shipped, you don’t want to be kept waiting. That’s why our service staff is always up to date on the products we sell. What’s more, we ship more than 96 percent of the parts ordered from us on the same day they were ordered! From petroleum and natural gas exploration to utility and offshore marine applications, Louisiana Cat Bossier City is an authorized dealer in sales, parts and servicing of natural gas and diesel engines. As part of the Power Systems Division of Louisiana Cat, we follow some of the strictest quality control standards in the industry so your power needs are met reliably and cost-effectively. To prove that point, we hold the highest level of service certification: DNV Platinum. Moreover, our quality standards meet those of ISO 9001-2008. You can count on us to design, manufacture and package all types of power needs, including custom orders, that meet the highest levels of operational safety and fire suppression. 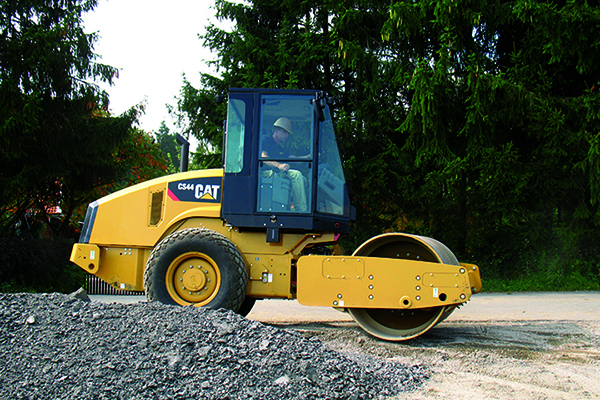 Visit us at Louisiana Cat in Bossier City to see how we can help you get the job done. Contact us or drop by to meet one of the hardest working teams in the equipment and power industry. Stop by today to see why our rental services have been rated 5 out of 5 based on 2 reviews on Google!